Cars are no friend of the local Maltese hedgehog. You know, that little animal whose pace of life is even more relaxed than the average islander's. 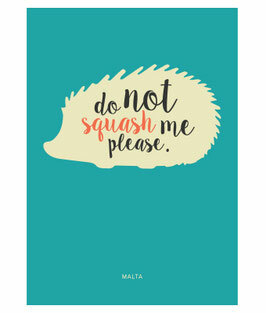 Over 60 signs warning drivers to "Drive slow - do not squash me please" can be found around Malta and Gozo in an effort to protect the shy, spiky slackers.